Director Jack C. Newell on the set of “Open Tables.” Courtesy of Jack C. Newell. Few filmmakers have attempted to mine the Windy City’s wealth of improv talent with as much tenacity and exuberance as Jack C. Newell. His first feature-length directorial effort, 2012’s “Close Quarters,” moseyed through a series of vignettes that took place at a single bar. Some story threads were tenderly amusing, others were dramatically potent, and one in particular (featuring two adulterers trapped in a bathroom) was memorably caustic. What linked each of these scenes was the fine work of a top-notch cast including such local treasures as Susan Messing, T.J. Jagodowski and Dave Pasquesi (whom “Groundhog Day” fans will remember as the psychiatrist who tries in vain to assist Bill Murray with his “problem”). 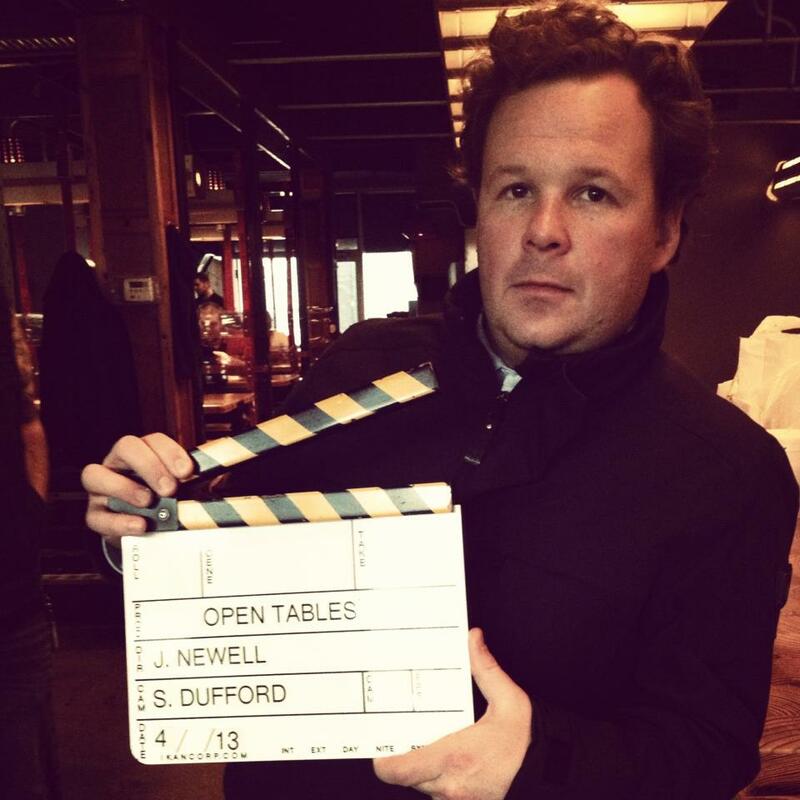 Newell’s sophomore effort, “Open Tables,” is also an ensemble piece, but it has the added advantage of multiple locations, including a sequence set in Paris. In order to shoot this segment, Newell actually went to Paris (and recently returned, safe and sound). He also landed some impressive new talent, such as Joel Murray (“God Bless America”) and Desmin Borges (“Compliance”), while re-teaming with ace cinematographer Stephanie Dufford (“The Wise Kids”). In this exclusive interview, Newell reflects on his previous picture, discusses his evolving approach to narrative structure and argues why microbudget filmmakers should never settle for low standards. Q: What did you learn while making “Close Quarters” that you’ve applied to this project? A: This is only my second feature, so I’m still figuring out how I want to make movies. One thing I’ve wanted to do for a while is write my own film. From 2005 to 2012, I had never directed my own stuff. I was directing other people’s work, and I was happy and fortunate to do it, but I felt like the only way to make a film that was truly mine would be to write it as well. For “Open Tables,” I assembled pretty much the same team I had on “Close Quarters,” and we’re still using improv as a tool to explore relationships. “Close Quarters” was an experiment in storytelling, both from a logistical and artistic standpoint. Part of my issue with the film is that it doesn’t reach a point as much as I wanted it to. One of the reasons why “Open Tables” is more scripted is it allows me to guide the narrative in the direction that I want it to go. Sometimes when people hear “improv,” they think of bloopers in a Judd Apatow comedy. I believe screenplays are only supposed to be used as a blueprint or a jumping off point for a film. I don’t think they should be directly translated from screenplay to movie. Otherwise, what’s the point of making it? You might as well just write the screenplay, frame it and move on. I don’t know if I’ll ever write a 120-page script with all of the dialogue intact and expect it to be delivered exactly as it’s written. I want to hire good people, and they don’t necessarily have to be improvisers. In our case, we literally have the best improvisers in the world. I don’t think that’s a boast, I think that’s a fact. How much did the French New Wave or Italian Neorealism guys stick to the script? Was there even a script? In “Close Quarters,” you have stories that are all happening at the same time, so it’s a little like spinning plates. Each one is spinning at the same time. With “Open Tables,” I wanted the story to reach the sort of climax that functions as a binary moment. It’s usually in the form of a yes or no question. “Open Tables” starts out as an ensemble film, but by the end, it becomes a story about two people, whereas “Close Quarters” is about 18 people at the beginning and about 18 people at the end. Making “Close Quarters” was like building the perfect banquet. Part of what people like about Thanksgiving is the opportunity to take some turkey, some mashed potatoes and some cranberry sauce and start flavor jamming. That’s what “Close Quarters” was for me. Let’s put the inane bridesmaids next to the lovers who are going through a serious crisis, and let’s put the people who want to kill themselves next to the mourners who got back from a funeral. That approach doesn’t create a strong narrative, it creates a lot of small, interesting narratives and juxtapositions. In “Open Tables,” the idea was to try and take the lessons and style learned from “Close Quarters,” and create something that’s a little more streamlined. Q: What is the challenge in balancing all of these intersecting storylines? The first half of the film takes place at a single dinner where three stories are told, and they’re all idealized, sort of like how the idea of Paris is idealized, as in “Playtime.” After the dinner, there is a series of three vignettes that take place in real time, and they’re structured like a “la ronde.” In each of these chance encounters, you hear the actual endings to the stories you heard in the first half of the film. In my opinion, having a relationship with someone is the hardest thing you can do, but in the end, that’s what life is all about. Just because it’s hard doesn’t mean it’s not worth doing. 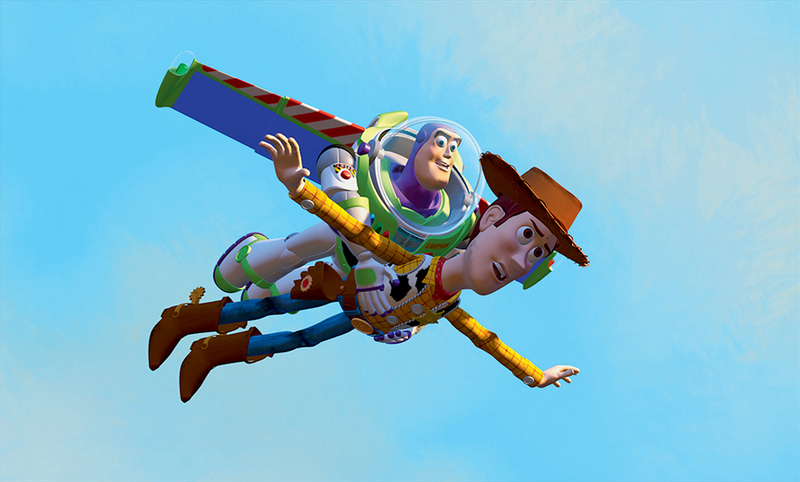 Q: Was the choice to visualize each of these stories a method to make the film more cinematic? A: Yes. There’s a reason why this film is titled “Open” rather than “Close.” We have 70 locations in this film, and for a microbudget feature, that is quite a lot. I don’t want my films to simply be reduced to talking pictures. We’re essentially creating a storytelling structure that enables us to do something more cinematic. In “Close Quarters,” we were throwing everything at the wall to open it up visually, and that included utilizing split screens. Q: Tell me about your collaboration with cinematographer Stephanie Dufford. A: She’s incredible. Before she went to Columbia, she went to RISD Rhode Island School of Design. She has an artist’s temperament. I consider her very much an artist, though I’m sure she would scoff at that and say, “I’m just making movies.” I come up with shot sizes and lens choices and the degree of camera movement, and then I let her do the rest. She has authorship over a lot of the framing. I never use a monitor. I’m not interested in nit-picking the frame. Stephanie and I have a similar sensibility in terms of what we’re looking for. My editor, Jill [DiBiase], is also invaluable to me, especially since I’m acting in the film. If I was editing it, my inner egotist would cause me to take out shots where my hair was weird or I looked fat. Her perspective is vital. On “Close Quarters,” we had no money and our crew was vastly under-experienced, so Stephanie basically did everything herself. The guys on our crew were very hard workers, but Stephanie had her work cut out for her. When you’re shooting with two or three cameras at the same time, lighting becomes a nightmare. On “Open Tables,” we knew that the stronger our choices were, the bigger payoff we’d get. If you make a strong choice, you will be rewarded, and if it doesn’t work out, you can reshoot it. On so many indie films, you have a chief production period and reshoots are never considered, whereas any big movie you see at the multiplex usually has multiple reshoots. How many times did they reshoot “World War Z”? You can’t expect that you’re going to nail it the first time. Jack C. Newell’s “Open Tables” was shot partly in Paris. Courtesy of Jack C. Newell. Q: What made you decide to shoot part of the film in Paris? 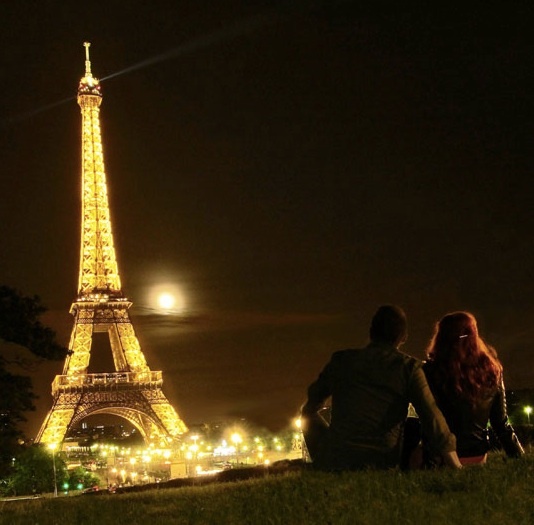 A: I started writing the film while I was in Paris with my girlfriend. We were there on vacation for New Years, and these ideas started coalescing. I wrote the script by hand, and then typed it into my computer. By January 19th, I had a draft, and by March, I had gone through the rewrites. That’s my process: I write really fast and then I don’t write again for a long time. From a producing standpoint, a Paris shoot enables our film to stand out from the pack. Paris is also an ideal place to make a film about food, and from a writer standpoint, I feel that food has an incredible ability to not only unite strangers but elicit emotion and memory. If you taste something that your parents used to make, you realize that some of your favorite foods are based on your childhood memories. I’ve been at dinners with distant relatives and friends of friends, and as you start eating and sharing stories, you build a connection. We also wanted to show the food culture of Paris just as we’re showing the food culture of Chicago. I love the seeming effortlessness of Parisian fare, although it’s incredibly labor-intensive and given with a lot of care. They unfortunately look at food differently than we do in America. Q: How did Joel Murray become involved? There’s a melancholic shade to his comedy that I find intriguing. A: I find myself attracted to working with people like that. A tinge of sadness makes comedy all the funnier. Part of what makes T.J. [Jagodowski] so appealing is the sadness underlying his humor. Joel is Chicago royalty. His brother Bill is incredible, of course, but Brian Doyle is also one of my favorites. Joel doesn’t have a huge part in the film. He plays a doctor and has two major scenes. These films get sunk by crappy supporting roles, and I knew that we needed a killer guy for this part who had the sort of gravitas that Joel can provide. He and Dave [Pasquesi] are old college friends, so Dave e-mailed him and he agreed to do it. We flew him out and shot all of his scenes in one night. He was a consummate professional. You can make microbudget films and still reach very high, especially these days, with the amount of people and the caliber of people that you can get involved. There’s no reason to not have the best actors you can possibly get. For more info on “Open Tables,” check out the film’s official site or follow it on Facebook.